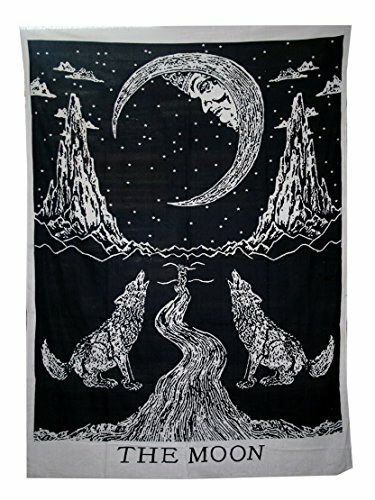 These Unique Tapestries Can be used as Picnic Blanket, Bed Cover, Beach Towel, Yoga Mat, Table Cloth, Curtain and of course as a Tapestry or a Wall Hanging or Decor or Throw Beach, College Dorm Bedspread. Makes a great Wall Hanging, Wall Art, Wall Decor, Bohemian Bedding, Hippie/ Hippy Bedspread, Beach/ Picnic Blanket, Table Cloth, Yoga Mat, Room Divider, Ceiling Decor, Window Curtains or any Home Decor purposes.This conventional piece of art will make complete makeover of your wall or room or bed. It can also be used to make sections or room divider inside your house.